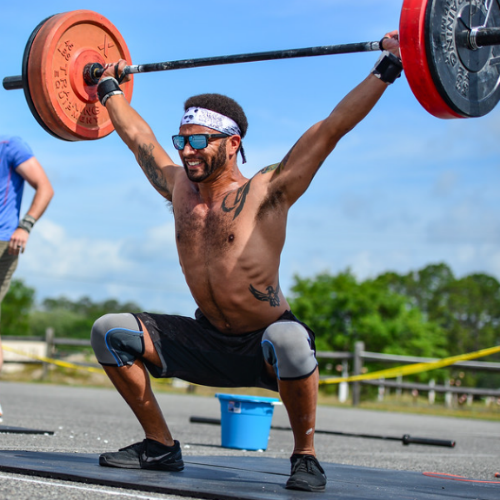 At CrossFit 352 we focus on virtuosity, functionality, and fun. We encourage our athletes to strive to become the best version of themselves. Safety is imperative when performing high intensity variable movements, and we pride ourselves on keeping all of our members healthy and injury free. Our coaches will insure that member’s technique is perfect before progressing them along in the program. If you’re looking for an easy gym without a community to push you, then keep looking. We offer an unparalleled supportive community that will provide you with all of the tools necessary to make yourself better each day you step in the gym. Come in and give us a try, I am positive we will not let you down. As a Gainesville native, Adam grew up in town where he attended school at the University of Florida to pursue a Bachelor’s in History. 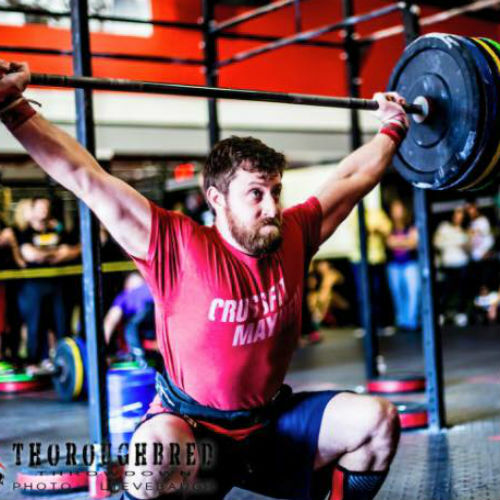 While in school he fell in love with CrossFit and the methodology behind the madness. It’s now 6 years later and nothing has changed. Shortly after graduating from the Santa Fe EMS program in 2014, he began to build his dream of becoming a CrossFit Affiliate. 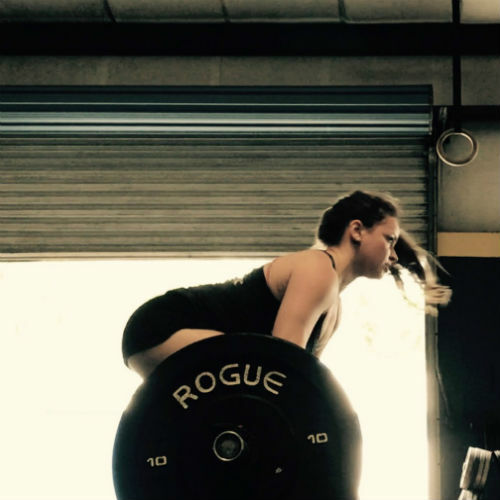 On my first day of CrossFit, my fitness level could have been described as “naturally athletic enough to fake it through most sports.” I was approaching my 30th birthday and finally decided this was not good enough. Mostly I wanted to feel better about turning 30, look better in a bikini, have abs, -insert cliche thing people say before they learn about how fitness actually works-. I had never lifted a barbell. I couldn’t do a pull-up. My squat looked like a swim start. I quickly learned that these were things I needed to fix but certainly never thought they would become some of the things I’d look forward to doing on a daily basis. 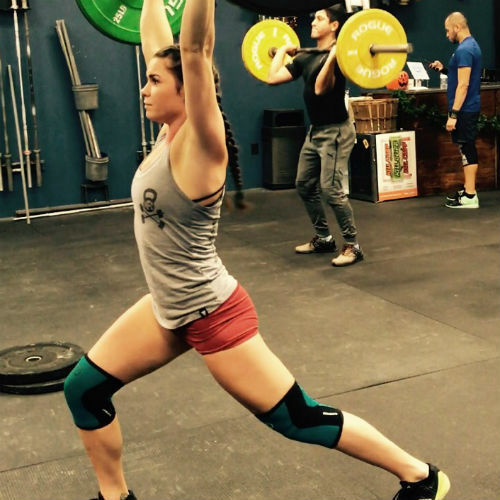 I started CrossFit for superficial reasons, but I stayed because I fell in love with getting stronger. I met my best friend at CrossFit, who I proudly own this gym with now. I made great friends I never would have met if not for our wild, addictive, painful, wonderful common interest. I am stronger, have better mobility, am happier and healthier at 34 years old than I was at 20. Becoming a CrossFit athlete has made my life better in more ways than I could have imagined. I now have the opportunity, along with Adam and Pablo, to allow this to happen for others. We want people to make their lives better, their skin tougher and their appetite for strength insatiable. And we want them to do it here. My name’s Grant and I’m an 11 year veteran of the U.S. Navy. I graduated the U.S. Naval Academy in 2006 and spent my career as a pilot operating in multiple locations around the globe to include Japan, El Salvador, Greece, Bahrain, Iraq, Djibouti, and Qatar. I started CrossFit over 4 years ago and immediately fell in love with it. I love the challenge every day provides as well as the camaraderie developed in the box amongst the members. During my second tour in the Navy I was a flight school instructor pilot and between that and mentoring at the local high school I realized I thoroughly enjoyed teaching and wanted to do more, so I got my CrossFit certification upon leaving the Navy. I’m passionate about helping people realize and achieve their goals, all the while motivating and encouraging them to do so. CrossFit has had such a positive impact on my life, and I enjoy having the opportunity to do the same for others. My name is Erin, I am currently attending the University of Florida pursuing a degree in public relations. My CrossFit journey started in 2015 after I retired from the USA gymnastics world team. I competed on the world team for 8 years, coining 3 individual gold medals, 1 team gold medal, and 2 world records. When the time came to retire, I needed something else in my life to stay active. I immediately fell in love with CrossFit. I love the idea of getting a killer workout in just one hour, working on skills, gymnastics, lifts, mobility, and much more! There are always new skills to acquire, which makes working out very addicting! CrossFit is truly about improving each day, becoming more fit, happier, and most importantly, more healthy! I am passionate about helping individuals of all levels set and achieve their goals day in and day out. CrossFit is affordable on any household income with several different plans we can find one that is right for you!